Laird Hamilton is a world-renowned big-wave surfer, fitness guru and coffee connoisseur. 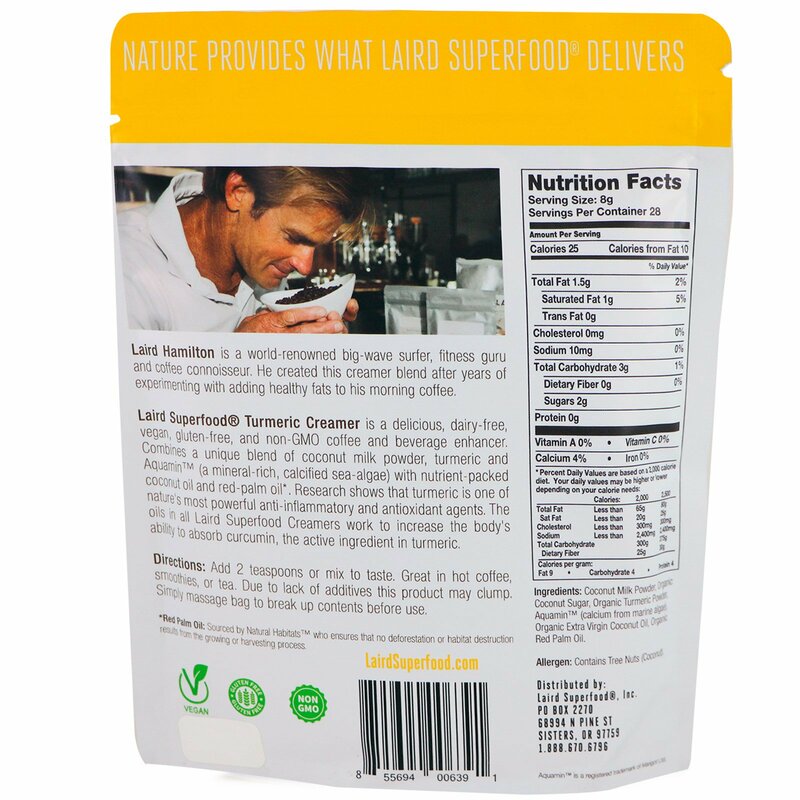 He created this creamer blend after years of experimenting with adding healthy fats to his morning coffee. Laird Superfood Turmeric Creamer is a delicious dairy-free, vegan, gluten-free, and non-GMO coffee and beverage enhancer. Combines a unique blend of coconut milk powder, turmeric and Aquamin (a mineral-rich, calcified sea-algae) with nutrient-packed coconut oil and red-palm oil*. Research shows that turmeric is one of nature's most powerful anti-inflammatory and antioxidant agents. 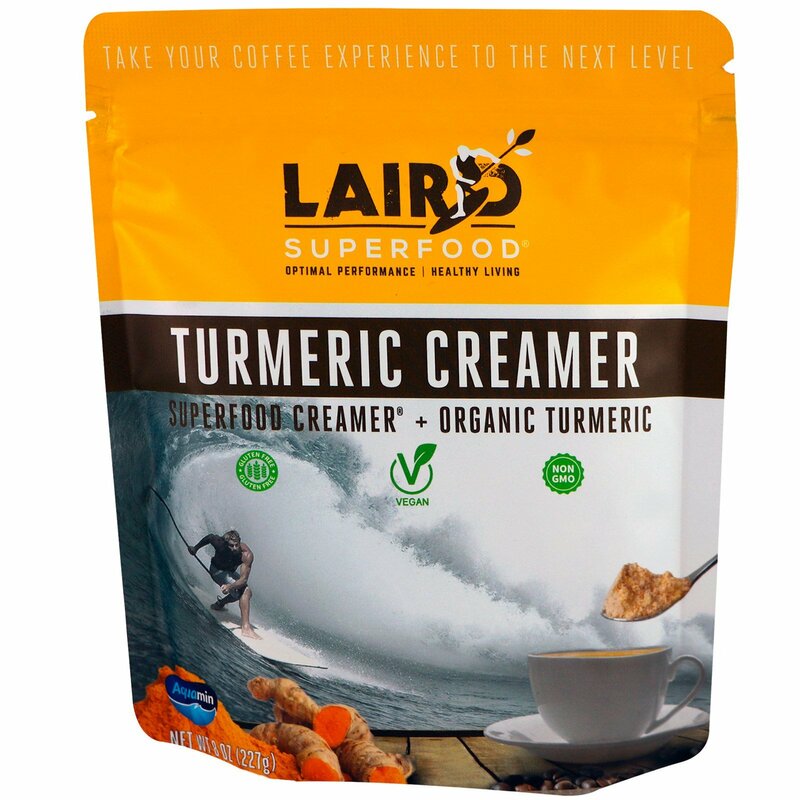 The oils in all Laird Superfood Creamers work to increase the body's ability to absorb curcumin, the active ingredient in turmeric. Coconut milk powder, organic coconut sugar, organic turmeric powder, aquamin (calcium from marine algae), organic extra virgin oil, organic red palm oil. Allergen: Contain Tree Nuts (Coconut).